Backed by an incredibly haunting version of Nick Cave's Red Right Hand, the first trailer for Guillermo Del Toro's haunted house movie Crimson Peak has finally come our way, showing the director going back to his gothic roots after the giant robot/ giant monster smack down that was Pacific Rim. 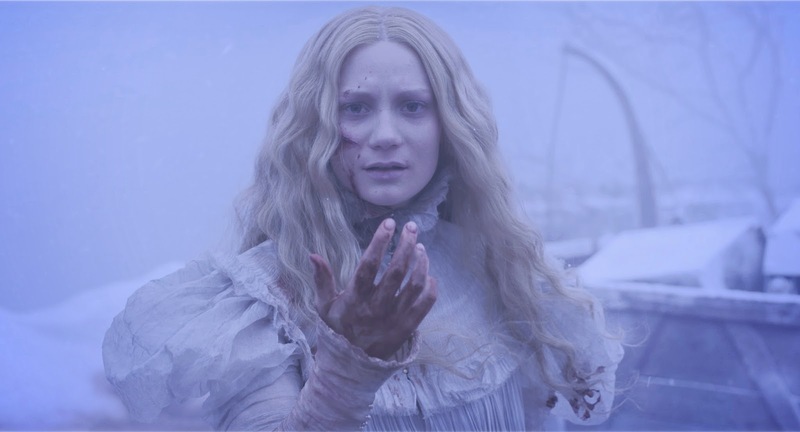 The look of Crimson Peak is absolutely stunning, piling on a hefty helping of gothic romance on top of all the creepy goings on. Not only that, the interplay between the cast, including Tom Hiddleston, Jessica Chastain, Mia Wasikowska, and Charlie Humman, suggests a psychological angle that should some interesting twists to the story. On top of the trailer, we are also treated to this beautiful poster, which plays upthe movie's gothic sensibilities. 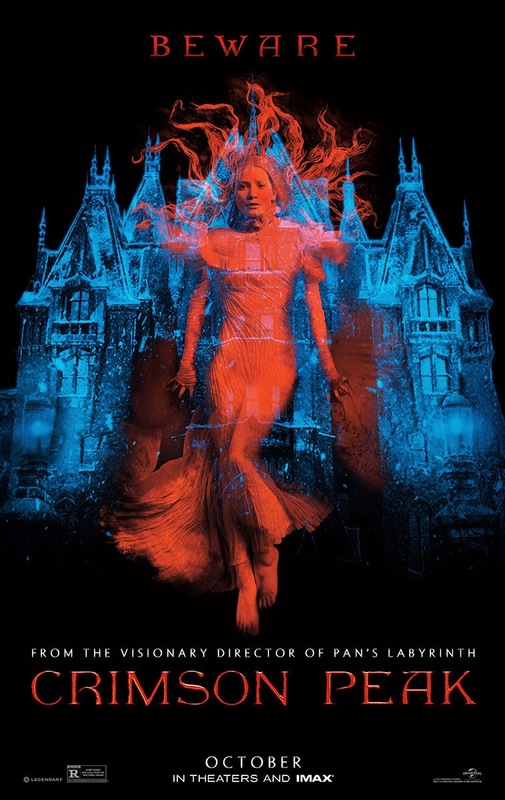 Synopsis: Legendary Pictures’ CRIMSON PEAK, a co-production with Universal Pictures, is a haunting gothic horror story directed by the master of dark fairy tales, Guillermo del Toro (Pan’s Labyrinth, Hellboy series, Pacific Rim), written by del Toro and Matthew Robbins and starring Mia Wasikowska, Jessica Chastain, Tom Hiddleston and Charlie Hunnam. In the aftermath of a family tragedy, an aspiring author is torn between love for her childhood friend and the temptation of a mysterious outsider. Trying to escape the ghosts of her past, she is swept away to a house that breathes, bleeds…and remembers. 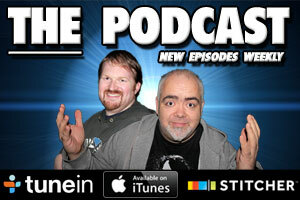 Thomas Tull, Jon Jashni, del Toro and Callum Greene produce, and Jillian Share executive produces.